The University System of Maryland Board of Regents voted Friday to rescind three honorary degrees awarded to Bill Cosby, who was convicted in April on three counts of sexual assault. The degrees had been awarded by the University of Baltimore; University of Maryland, College Park; and the University of Maryland, Eastern Shore. The universities had requested that the Board of Regents rescind the honorary degrees. They are the only three USM schools that had awarded Cosby honorary degrees. 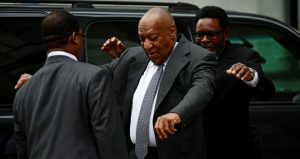 Johns Hopkins University’s board of trustees voted to revoke Cosby’s honorary degree from that university hours after he was convicted April 26. The universities are among nearly 60 that have awarded honorary degrees to Cosby, Vulture reported. Many have taken action to revoke the honorary degrees after he turned from family-friendly entertainment icon to notorious sexual predator. Nearly 60 women have come forward to accuse Cosby of sexual assault.